What happens when the leading brewer of oak-aged mixed fermentation ales dating back to 1821 collaborates with a brewery known for iconic and off-centered ales? You get a beer, centuries in the making. Arguably the most awarded brewery in the world, we’re proud to announce that Dogfish Head will be partnering with Brouwerij RODENBACH of Belgium for a one-of-a-kind collaboration - the first in their 200-year history! “I have been a huge fan of RODENBACH beers since the early 2000’s when legendary beer writer, Michael Jackson, turned me on to them at the Brickskeller in DC. RODENBACH are the global pioneers in sour and wild beers production, and Dogfish Head is proud to have the number one selling sour beer in America. So we have a lot to learn and explore together -- and getting to know Rudi, David and the RODENBACH team has been rewarding and fun. I am confident we are going to make a beautiful, unique beer together,” says Dogfish Head founder & CEO. 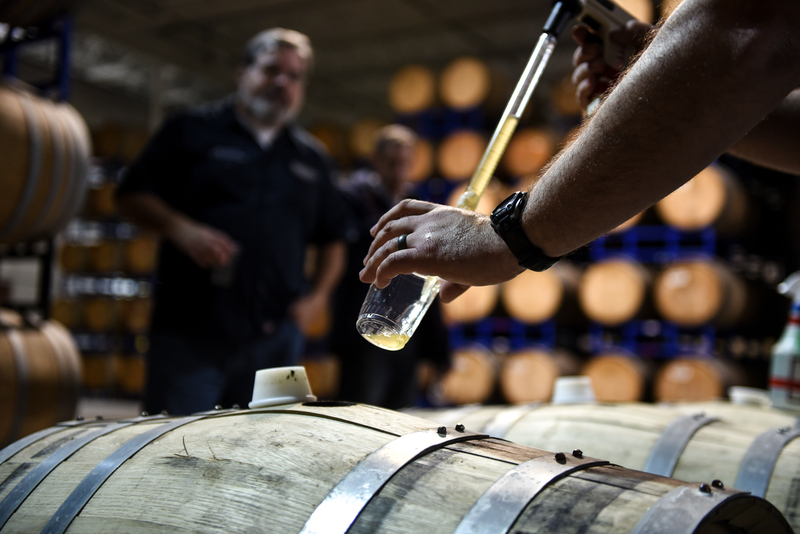 Known and loved throughout Belgium for its deliciously refreshing qualities and exceptional food pairing characteristics, sour beer has become one of the fastest growing styles in America, welcoming new and adventurous craft fans alike. But how exactly did a traditional meets modern collaboration come to be? It was at the 2018 Craft Brewer’s Conference in Nashville, Tenn. that the idea of a partnership first came about. Following a panel discussion of leading sour beer experts, RODENBACH Master Brewer Rudi had a chance to connect with our own brewing supervisor Bill Marchi, head of our Wooden … it be nice! wild ale program to chat about the nuances of old-world sour beers and the modern expressions happening in our neck of the woods. Before the end of 2018, Rudi and Chief Marketing Officer of RODENBACH Kristof Ampe visited us here in coastal Delaware to further explore and solidify plans. With a shared commitment to quality and creativity, as well as an infectious passion for beer, it didn’t take long for everyone to land on the same page. 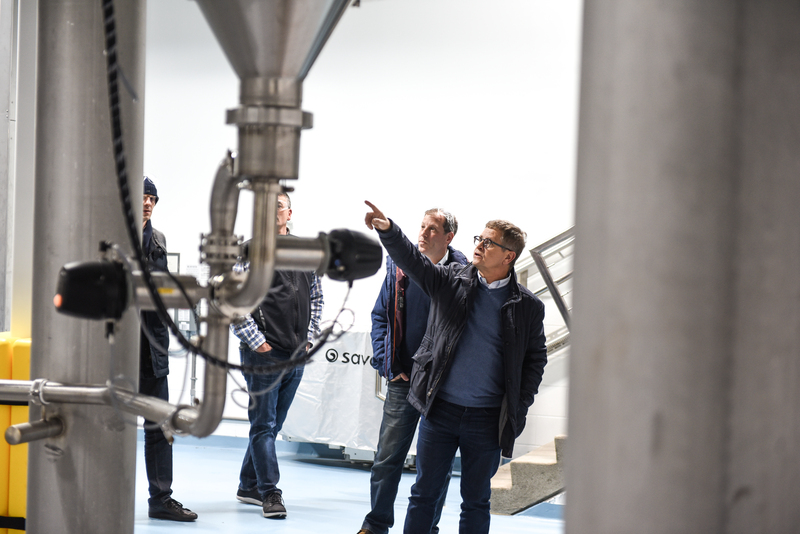 While still in its early stages, the plan is to brew and blend the beer here in the states in 2019, with availability for American consumers to enjoy beginning early 2020. Following this, we will also explore a release of the beer in Belgium, where RODENBACH is widely sold. “We see great opportunity for the years ahead,” added both Rudi and Sam. “While we’re taking things one step at a time, we have great hope and expectations that this will be the beginning of a long-term relationship between our breweries for several years to come.